Tell me three numbers and I can estimate the amount of capital your startup will need to raise. Which figures are those? The startups’ revenue target, the average revenue per customer and the average cost of customer acquisition. For example, I’d like to estimate the cost for my SaaS startup to reach $100M in annual recurring revenue (ARR). My typical customer pays $25k average contract value (ACV) and my cost of customer acquisition (CAC) is $29k. I estimate a 14 month payback, which is the average according to the 2016 PacCrest survey. To calculate CAC, we take the 14 months of payback divide by 12 months and multiply by the ACV. To reach $100M requires 4,000 customers. Each of the 4,000 customers cost on average $29k. This math implies spending $116M to acquire those customers. This estimate is remarkably accurate for Marketo. Our little equation estimates that Marketo would have required $62M to reach $53M in revenue at IPO. 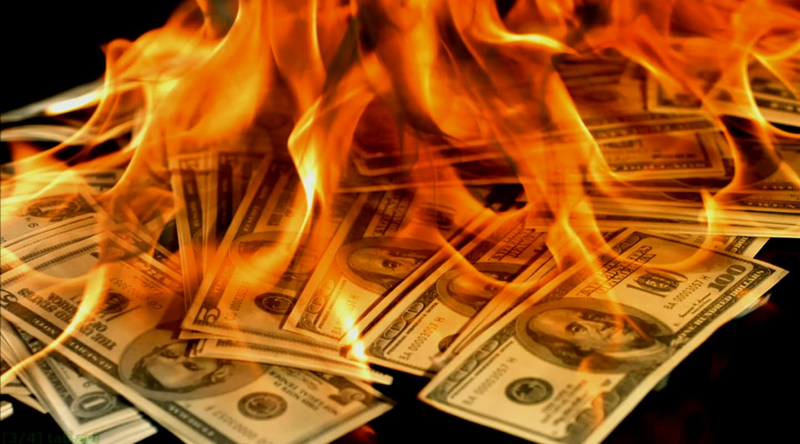 Marketo burned $64M to reach that revenue milestone, an error of just 3%. How would accurate is this equation across a larger number of companies? 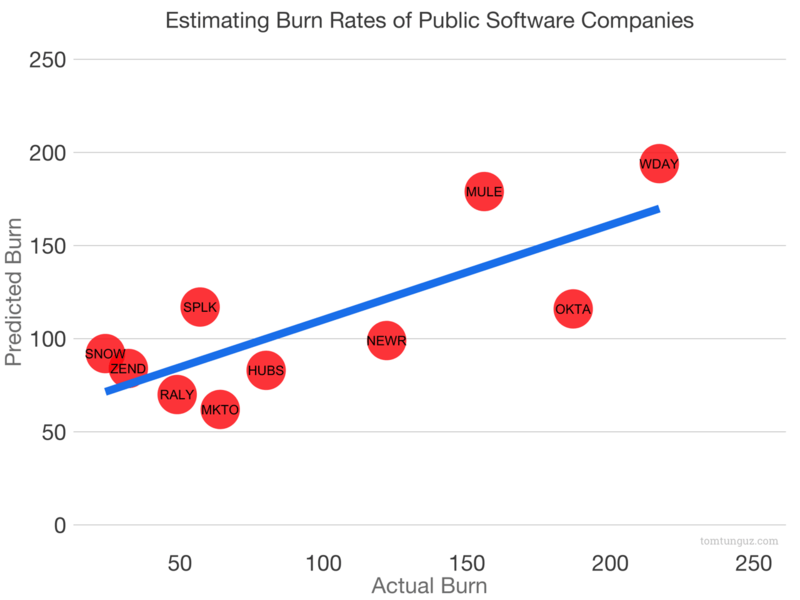 The chart above plots the actual burn of ten next generation software companies compared to the estimated burn. To calculate the burn, I’ve subtracted the amount of cash on the company balance sheet at IPO from the total amount raised. The model isn’t perfect. Predictions vary from a 3% difference for Marketo to a 62% difference for Okta. But the R Squared, a simple measure of the accuracy of our model, is 0.78. This means the model explains 78% of the variance, which is pretty good for such a simple equation. This equation fails to consider many, many things. To name a few: How long the company bootstraps. Whether the business collects cash up front. Whether the business executes growth consistently or endures some period of correction. No consideration for churn. It also assumes a company is venture backed and that it wants to grow at a rate similar to other publics. Last, I used a small data set which excludes outliers like Atlassian and Box. In short, it’s no substitute for a real financial model. But it’s a pretty good back of the envelope estimate.